Motorcycles are smaller and, in general, cheaper than cars. So the cost of motorcycling is less than buying a car, right? Despite our intuition that motorcycling is less expensive than buying a car, they can actually wind up having a detrimental effect on our finances for some not-so-obvious reasons. Here’s why motorcycling is more expensive than you think. Motorbikes typically cost less than cars, and so you would think you would pay less in insurance. However, the cost of the bike is only one part of the equation. The other part of the equation is the frequency of accidents. Motorcycle accidents occur at around 14 times the rate of accidents involving regular vehicles, meaning that the probability that the insurance company will have to cough up money is much greater. Like any insurance model, the company has to cover its risks, so it makes up for this by charging motorcyclists more. While it’s possible to get insured for less than $500 a year, it’s rare. Most cyclists, especially those new to it, pay more like $800 to $1000. It’s no secret that motorcycling is dangerous. You’re far more likely to be injured on a motorcycle than you are in a collision involving a car, thanks to a complete absence of any safety equipment on a motorbike, besides the helmet. 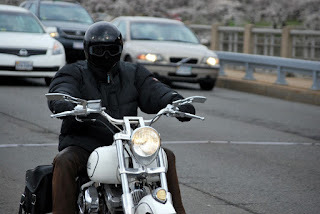 According to RobinsCloudNewMexico.com injuries sustained in motorcycle, collisions are far more severe too, meaning that your motorcycle habit could have life-alternating implications. An accident could leave you out of work for months, or mean that you have to undergo painful rehabilitation. You could even be disabled for life and never able to get back on your bike again. Thus, it’s worth thinking about the non-financial as well as the financial costs of biking. Motorcyclists have to wear a lot of gear, from the helmet to the leathers, and sometimes more. According to GQ.com, helmets can cost anywhere from $150 to $900, depending on the quality. But this isn’t all new riders need. Although helmets are the only item that you are required to wear by law, sensible riders also invest in high-abrasion grade leather jackets, gloves, pants and boots. Wearing regular clothing simply won’t cut it if you get dismounted at speeds over 20 mph. The costs of leathers are substantial. Cheaper varieties will set you back around $800. But you could easily spend up to $2,000 for the safest, lightest and most breathable varieties. And, remember, just like ordinary clothes, your leathers will eventually wear out and need to be replaced. Finally, motorcycling is expensive, like regular driving, because of transaction costs. While you’re able to weave in and out of traffic and save time, you also have to spend time getting ready for each trip. Putting on all the requisite protective clothing can take time. So too can finding somewhere to get changed at the other end. Every trip requires a lot of preparation. It’s not a question of just hopping on and going where you want to go like it is in a car.